A trending breakfast item on Instagram, I was not at all sure about cloud eggs but decided to give them a try. They are actually a lovely way of doing eggs, as you end up with nice firm whites and perfectly-cooked yolks. This is ideal if you want to avoid sloppy whites or a solid yolk. 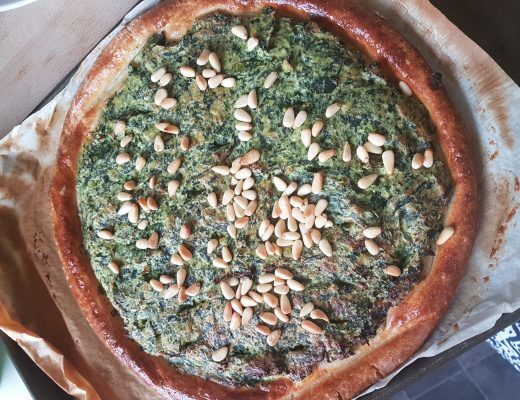 Many of the recipes I had seen involved all sorts of faffing around with add cheese or other elements, so instead I have kept it totally simple on the egg front. Nothing is added to the whites other than a little salt and black pepper. Then this dish becomes special with the addition of smoked salmon and a gluten free dill hollandaise sauce. Hollandaise can be a bit tricky to get right, so I would make this in advance to save yourself from any last minute stress. 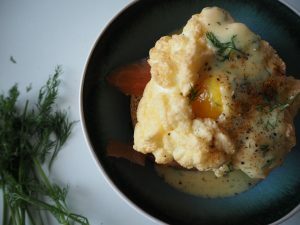 The flavour combinations in this gluten free cloud eggs dish are brilliant. 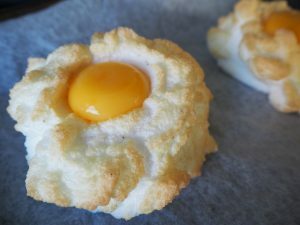 Make this gluten free cloud egg brunch to treat someone you love or to just treat yo’self! First of all, prepare your ingredients so you have everything ready to go. Timings are quite important with this brunch dish and it’s easiest if you have everything at your fingertips. If you have time, it’s easiest to make the hollandaise in advance – to avoid having to multitask. First, make the hollandaise sauce as this can then be set aside for 10 minutes while you bake the eggs. 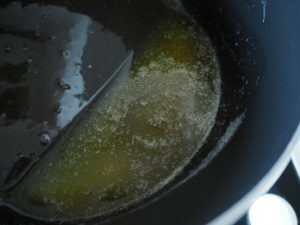 Melt the butter in a bowl in the microwave and skim off any white scum that has formed on the top, leaving you with a fairly clear golden liquid. 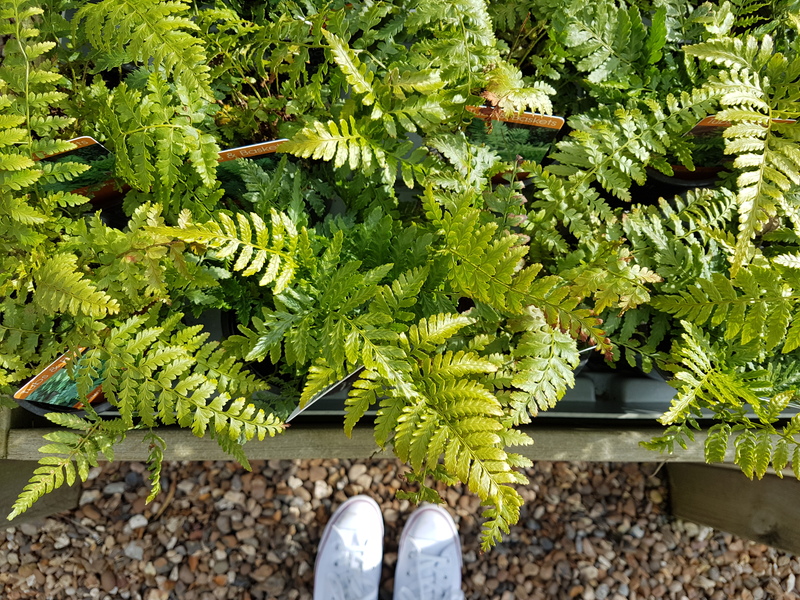 Bring a pan of water to a gentle simmer and place a heat proof bowl over the top. Add two egg yolks, the lemon juice and cayenne pepper, beating them briskly with a fork and allowing them to warm slightly for two minutes. 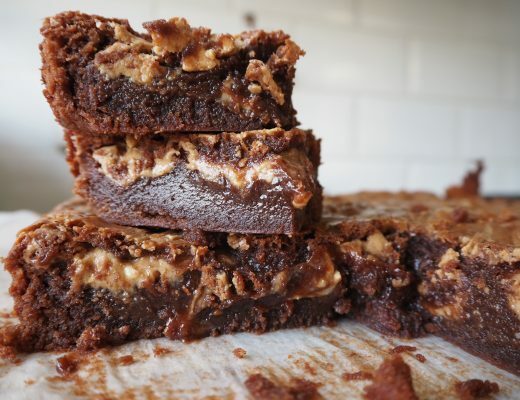 This will give you a creamy, foamy mixture. 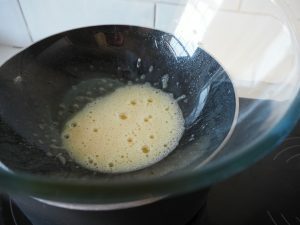 Now VERY gradually pour the melted butter into the egg yolk mix, whisking continuously to prevent the sauce from splitting. 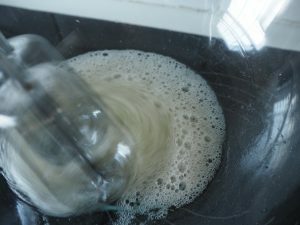 Once the sauce is nice and glossy and smooth, you may wish to add a tsp of warm water to stop it becoming really thick. 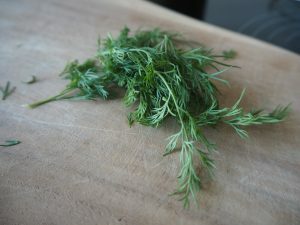 You should also now stir in the finely chopped dill and you can set the sauce aside for a moment while you make the eggs. 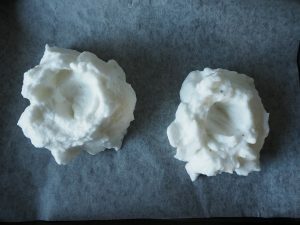 For the cloud eggs, seperate the eggs yolks and egg whites. Place the yolks in a small bowl and set aside. Add the two egg whites to a large bowl and add a pinch of salt and some fresh ground black pepper. 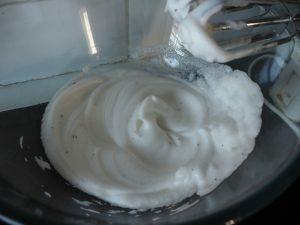 Using an electric hand whisk, whisk until the whites have achieved a stiff fluffy consistency. 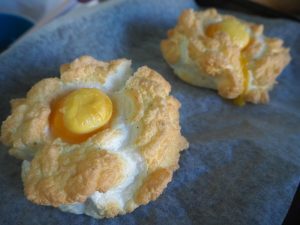 Take a small baking tray and line with baking paper – spoon the eggs whites into two cloud-like mounds, making a small egg-yolk-sized hollow in the centre of each with a teaspoon. 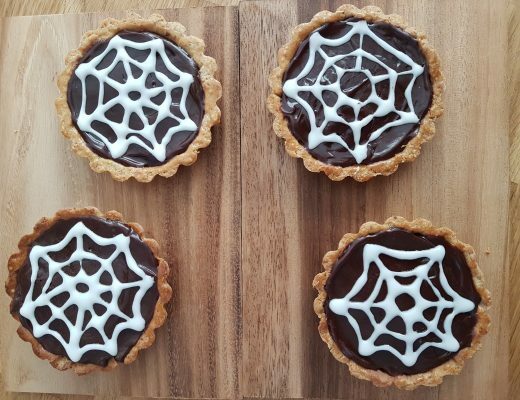 Now place them into the middle of the oven and bake for 5 minutes until they have started to turn slightly golden. 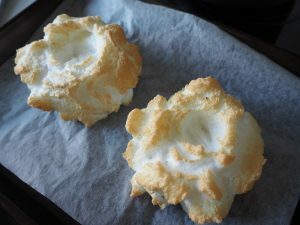 After 5 minutes, remove the whites from the oven, turn down to 180C, and pop a yolk into the hollow of each egg white cloud. Now the eggs go back into the oven for a further 3-5 minutes, until the yolks are warmed through and just set on the outside. While the eggs are finishing baking, you can split, toast and your gluten free rolls/bread. Then top with smoked salmon. 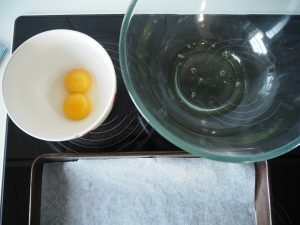 Finally, remove your cloud eggs from the over – the tops of the yolks will be slightly set (as pictured). 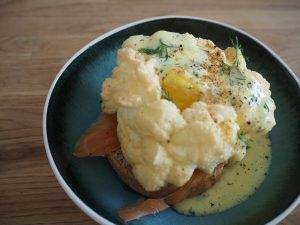 Then place the cloud eggs atop the smoked salmon. Pour the dill hollandaise over the eggs to serve and dust with a little cayenne pepper, black pepper and fresh dill to finish. Eat straightaway, while still hot!